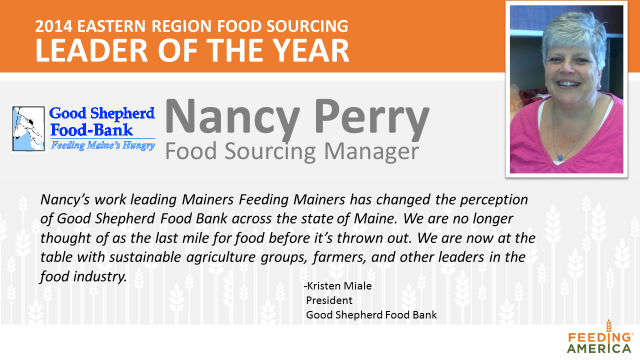 On August 20th, Feeding America named Good Shepherd Food Bank's Manager of the Mainers Feeding Mainers Program, Nancy Perry, its 2014 Eastern Region Food Sourcing Leader of the Year. Congratulations, Nancy! Click here for more information on the Food Bank's Mainers Feeding Mainers program.